ARC kindly provided by Entangled via NetGalley in exchange for an honest review. 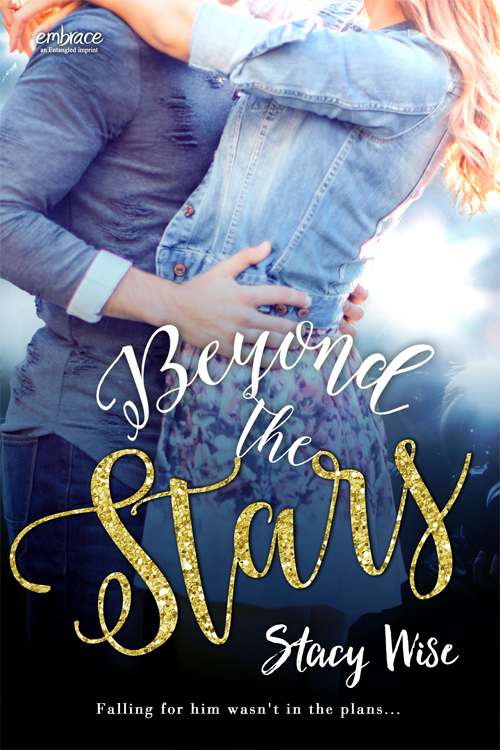 I decided to read Beyond the Star because I saw it at netgalley and the cover caught my eye and from the synopsis I thought it was a book I would like. This book turn out to be a quick, entertaining and really cute book. I had some issues with it, but it’s a really good debut novel. It’s more a romance than a new adult novel, so if you are worried about the content, you should know that it’s not really explicit. The writing was alright, it wasn’t particulary special or beautiful, but it went well with the story. It was actually really funny at some points. The characters development for the main character was good, she felt real, I didn’t always like her, she was annoying at times, but she was relatable and very human. The love interest, on the other hand, wasn’t fully fleshed out; he was just a bunch of personality traits thrown together, but not woven in a way that made an actual personality. Plotwise, I think there were some unnecessary points that were meant to creat drama, but they didn’t. I think they could have been removed from the story. Nonetheless, the overall plot was really entertaining. And in terms of the romance, the relationship between the two main characters evolved in a very slow way for 70% of this book, which was fine because there were some other interesting things happening. Nonetheless, when the story got to the point were the relationship turned into an actual romance, it came out of nowhere. In the last 30% of this books, the characters went from starting to become friends to loving eachother in the blink of an eye. But, I actually didn’t mind so much, because the characters were so cute together. At the end, I liked Beyond the Star, I though it was cute and entertaining. The main characters was well developed and the writing went well with the book. I liked the relationship between the main characters, even if the transition into a romances could have been done better. I would recommend this to fans of cute romances. This book comes out really soon, are you planning on reading it? The cover is eye catching, huh? That's the sole reason I even clicked on it. I was kind of disappointed that is was a 'clean' NA so many of them or not so I just assumed. But either way that didn't matter. It's a good introduction book to NA. I agree about the male MC not being so fleshed out. I think the pig was my favorite part of the story to be honest. I love the pig, too. I don't know why I didn't mention it. Thanks for stopping by! I'm glad you liked the review.